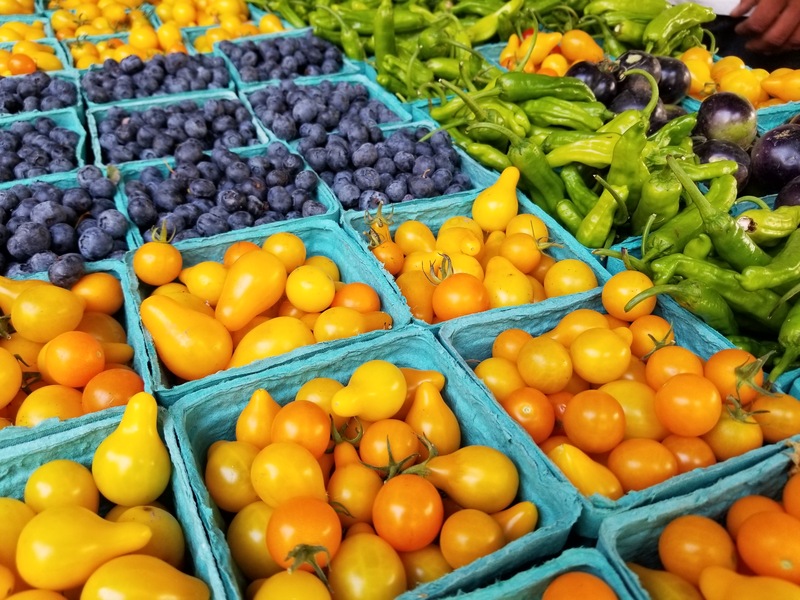 Late summer abundance at the Lloyd Farmers Market! 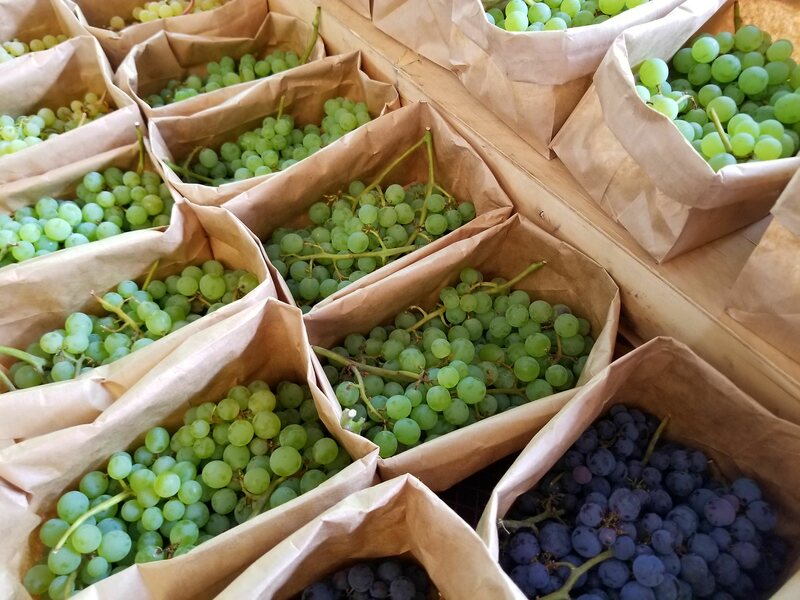 Today is another beautiful summer day at the Lloyd Farmers Market! The peak of the season continues – this is a great week to pick up a flat of berries for freezing or making jam. As we get later into the summer, some varieties may no longer be available. Kiyokawa Family Orchards has quietly been bringing new varieties of apples each week, and will continue to add more over the coming months. 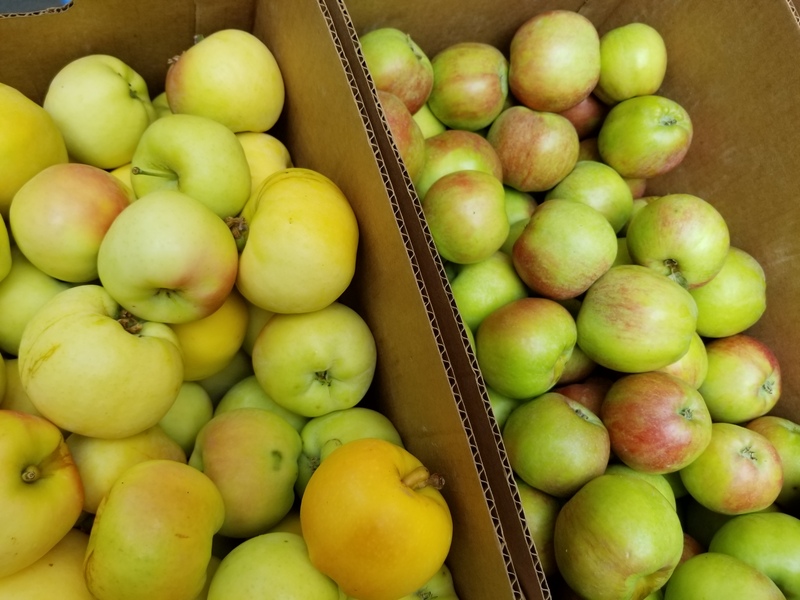 Today they have red Gravenstein, Ginger Gold, Pristine and Zestar apples, in addition to peaches, plums, nectarines and pears. See below for more photos and a full list of vendors here today. Sacred Summit will return next week. 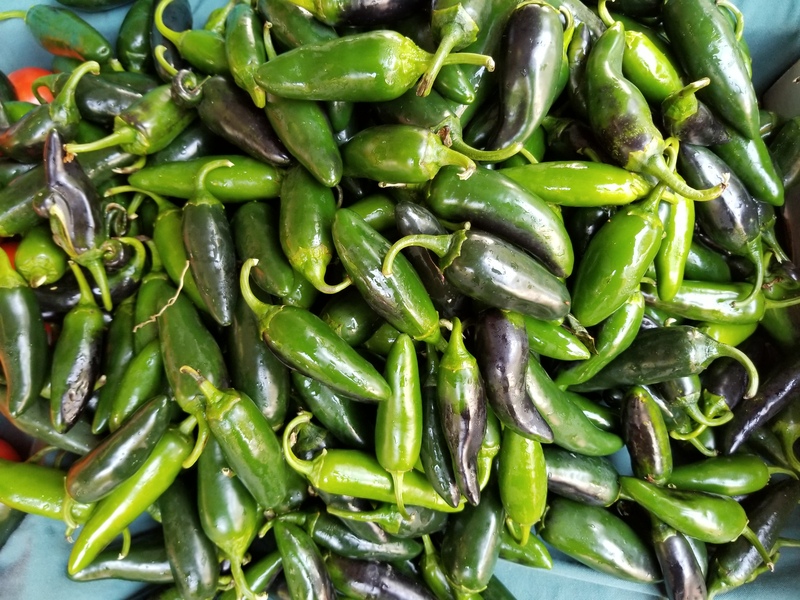 ← Roasted peppers, bike repair, live music and more, today at the Lloyd Farmers Market!